In Full Bloom is now quilted. I kept it simple, because I can do simple. I've quilted in the ditch around all the squares and the inner border, then I went and around the appliqued circles. I've put a hanging sleeve on the back, so now it's ready to hang. I've had it draped over the airer for a couple of days for the peg marks to drop out, so now I need to rearrange all the wall quilts and find a home for it. it's gorgeous Jane...and yes you can do simple but you can also do wonderful and extended. Congrats. Now you have a new lovely wall hanging. Looks marvelous! Stitch in the Ditch around a circle sounds kine of tricky! 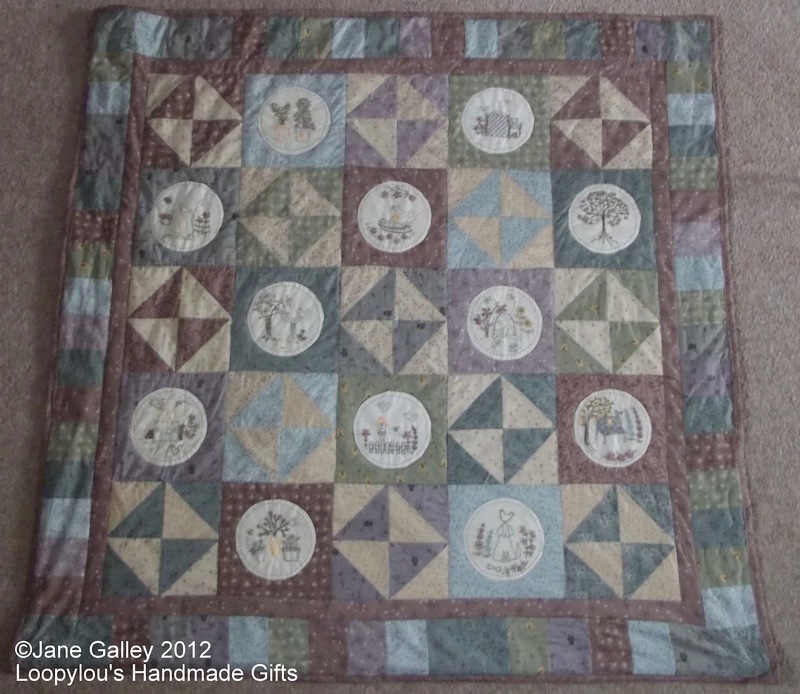 I have loved seeing the progress of your quilting projects; 'simple' works!!!!! and looks lovely. Another happy dance! Gorgeous quilt - it will look wonderful on your wall. I do believe this is my favourite quilt of yours. It is simply gorgeous.